When Japanese people die, it’s not enough to go out in a big, black, velvet-lined station wagon. You have to arrive at the afterlife party in style. 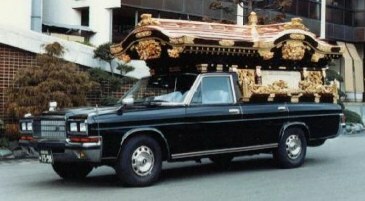 That’s why we’re glad that alert reader Toyotageek posted a link to pictures of Japanese hearses. This one pictured here is based on a Nissan President, which is probably what an actual president would take his final ride in, but for the Japanese rice farmer there’s even a Toyota Hilux pickup. Enjoy, you morbid sickos! This post is filed under: japan. And I thought the Ghostbusters hearse was cool! Plenty of storage space for your proton packs! WOO HOO, I love this thread. This is a combination of two of my favorite passions Japanese cars and hearses. Apart from all my old Toyota metal, I also have a 68′ cadillac hearse. It makes my 85′ MR2 look like a Hot Wheel. 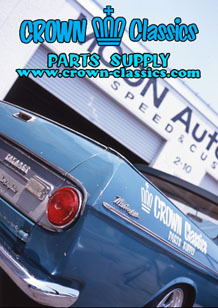 I wish I could get my hands on one of those Crown hearses built american style. I would be a happy camper then. It’s like dekotora for the dead! Jeff – I’m surprised the MR2 can’t fit in the back of the Caddy entirely. It puts the lotion on it’s skin.. <— one of the sickos. The ghostbusters car was an Ambulance! People! Haha, see what I’ve started now? does anybody know who is the the owner of this?